The fall foliage of the Appalacian Mountains (misspelled on purpose) far exceeds any other beauty in my opinion. I heard from some of you that you missed my newsletter and I appreciate that. Actually, I have been trying to cram in all the wonderful fall sights and happenings of the Tennessee Appalacian Mountains area which left no time for writing. I will catch you up on all the latest. 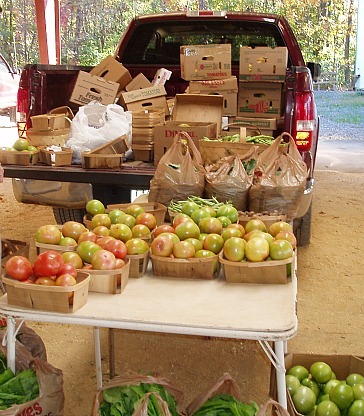 Saturday morning I set out to enjoy the fall foliage and to buy some of the local harvest from this area. 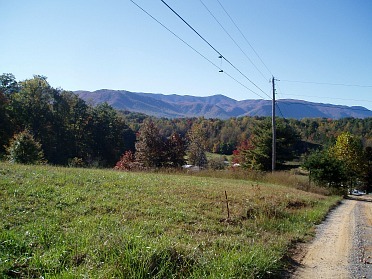 With the majestic Appalacian Mountains in my full view, I headed toward Greenville TN (misspelled on purpose). 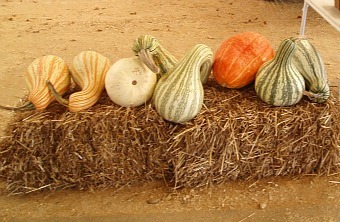 Along the way were many displays of pumpkins and squash. A lot were perched on bales of hay or straw to decorate for the season. Many more were sorted by size in huge piles for people to select and purchase to take home. It is quite obvious that this was a successful pumpkin and squash season in this area. Still admiring the beautiful fall foliage of this small town America, one also has to notice all the historical names connected to this town. Names like the Revolutionary War hero Nathaniel Greene, President Andrew Johnson and Davy Crockett are associated with the rich heritage of Greeneville. Also of interest in this town worth noting is the great architecture of the old buildings as in the General Morgan Inn. Originally being built in 1884 to house the railroad hotel, this is the pride of Greeneville as well as the fall foliage. Proceeding on toward the fairgrounds, I spotted a sign advertising the farmers market here another sight that comes with spring and fall foliage. This is exactly what I have been looking for. I were welcomed by the very nice people typical of this Tennessee area. Again more orange pumpkins and various assortments of squash were perched on bales of straw and set on tops of tables and in the backs of trucks. The fresh greens and nice big green tomatoes were too much for me to resist. These will be part of my meals for the week. A little pork such as bacon cooked with this large bag will make a delicious collard greens recipe or any other greens recipe. A delicious simple fried green tomato recipe consists only of washing, slicing, dipping in seasoned flour and then browning in a little oil. I had the opportunity to mingle with some of the local people as everyone was talking about the turning of colors in the fall foliage. It was a pleasure to meet Hilda who truly knows how to crochet. She makes all kinds of crocheted items like doilies, hats and scarves. 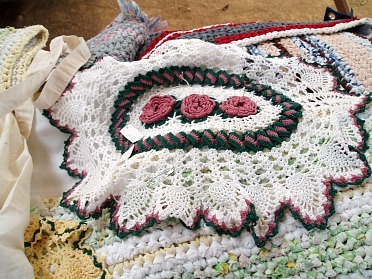 What surprised me is that she makes beautiful Tennessee Mountain hooked rugs and place mats which she also crochets. Hilda also sews and was teaching basket weaving made from the fall foliage. What talent! It was well past lunch time so I were getting hungry. My friend, Bonnie and her grandson BJ were on their way to meet me so I telephoned them to see how close they were. Only ten more minutes and Bonnie wanted to eat somewhere that had good desserts. The first place that came to my mind was the Gondolier Restaurant at 3465 E. Andrew Johnson Highway which is surrounded by fall foliage. I stumbled across this restaurant recently and was very impressed with their food, service, prices and especially their delicious desserts. The Gondolier is referred to as one of the local Italian restaurants, which does serve many delicious Italian recipes but it also serves many delicious Greek recipes. Also on the menu are salads, pizzas, chicken wings and foods to fit everyone’s taste buds. The meals here are usually large enough for two so I chose the Zorba Special which has slices of tasty gyro meat, chicken souvlaki, pork tenderloin souvlaki, grilled shrimp and spanakopita. Served with pita bread, Greek salad on the same plate and tzatziki sauce with your choice of rice, spaghetti or French fries. Actually this meal was large enough for three people. Bonnie chose a Calzone and BJ had meatballs and spaghetti. We all had leftovers to box and take home. Now it was time to select desserts. I had already tried their coconut cake so I recommended that to Bonnie to try. This is the best coconut cake that I have eaten out anywhere and Bonnie agreed. I wanted the red velvet cake. 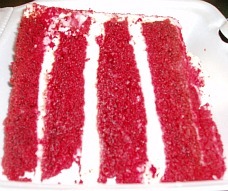 It was absolutely beautiful in the case and it was good but I just have never been real fond of the red velvet cake. I am working on one trying to add more flavor and moisture to it. I will pass it on to you when I succeed in doing so. BJ ordered the peanut butter pie. He insisted that we all taste it!! I must say it was very delicious! Grease and flour three 8 inch round pans. Beat the sugar and oil with electric mixer until blended. Add eggs one at a time, beating after each. Sift flour, soda, baking powder and salt together and add to the egg mixture alternating with the buttermilk. Pour batter into the cake pans and bake for 20 to 25 minutes or until cakes test done with a pick. Remove from oven and after 10 minutes remove the cakes from pans. Let cakes set until cold. Heat 1 cup coconut milk and ¼ cup sugar until sugar melts; set aside to cool. Poke holes in the three cold cakes and divide the coconut milk over the three cakes. Spread whipped cream between layers and on top and sides of cake. Spread freshly grated coconut between layers, top and sides of cake. (Can use commercial whipped topping but homemade is better). What a wonderful day! We had planned to attend a local Halloween hayride in the evening but my body just couldn’t manage to keep going. Cook squash in boiling water until tender; drain well. Melt 2 tablespoons butter in large skillet; add onions and garlic. Cook until onions are tender; stir in half of breadcrumbs and half Parmesan cheese. Add Cheddar, parsley/ chives, sour cream, salt, pepper and eggs. Melt remaining butter; stir in remaining breadcrumbs, Parmesan cheese and garlic salt. Sprinkle over top of casserole; bake uncovered at 350F degrees for 35 minutes. Add celery and onions and sauté until golden. Blend in salt, flour, ginger and nutmeg; cook for 3 minutes. Stir in chicken stock and pumpkin; simmer for 30 minutes. Process in blender in batches until smooth. Pour back into saucepan and stir in half and half blending well. Serve thoroughly hot garnished with sliced green onions. 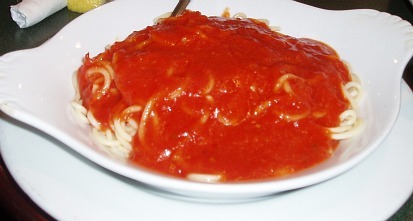 Reduce heat to low, cover and cook until tender about 6 minutes, stirring frequently. Stir in fennel and sour cream; season with salt and pepper. Cook uncovered until thoroughly heated 1 to 2 minutes. Sprinkle with chives to serve; serves 4.